The Risk Manager in Residence program at the Scott College of Business is supported by a grant from the Spencer Educational Foundation . 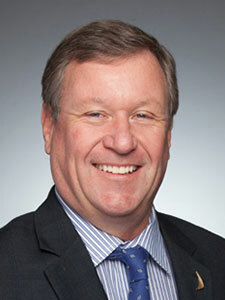 Rich Johanson, RIMS-CRMP, has worked in insurance and risk management for over 20 years. He is currently the Manager, Risk Management, for General Dynamics Corporation. Prior employers include Leidos/SAIC, 24 Hour Fitness, a Crawford & Company. His professional duties have included policy placement and claims administration for property, casualty, aviation, marine, E&O/Cyber and other specialty lines of insurance. He also conducts contract reviews, participates in due diligence on mergers & acquisitions and provides insurance training sessions for company business managers. Additionally Rich served on the board of directors for the San Diego Chapter of RIMS from 2006-2013, including two years as chapter president. He has served as chairman of the RIMS Member & Chapter Services Committee and is currently serving on the Student Advisory Council. Rich has an MBA from Cal State San Marcos and holds Associate in Risk Management (ARM) and Associate in Claims (AIC) designations. Randy F. Jouben is the Division Chief Risk Manager for Fairfax County Virginia which is one of the largest municipalities in the United States and is responsible for leading the mission of protecting the tangible and intangible assets of the organization to include the areas of risk management, safety, business continuity and compliance. Randy has a diverse risk management background with over 30 years of experience spanning from working for insurance companies such as Prudential and American International Group to consulting and risk management positions in prominent organizations such as the American Red Cross, the Catholic Diocese of Arlington, Virginia and Five Guys Enterprises, LLC. Randy is also an adjunct professor in risk management at Gallaudet University. Randy was in the Federal Hall Courtroom on Wednesday, March 7, 2018 speaking on Enterprise Risk Management and Its Applications in Various Organizations. 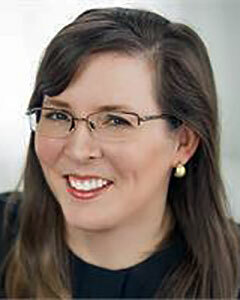 Emily Cummins (MBA, CPA, CPCU) is Director of Tax and Risk Management for the National Rifle Association and its affiliates. Her authority and responsibilities with the NRA involve risk and insurance programs, 501(c) fundraising, financial statement audits, and other top level tasks related to transparency and accountability of the organizations. Emily has degrees from Wake Forest University, George Washington University, and George Mason University. Prior to her decade in-house with the National Rifle Association, Emily worked for Wachovia (Wells Fargo) and Ernst & Young LLP. Director of Risk Management, Humana Inc.
Carolyn Snow is the director of risk management at Humana Inc., a Fortune 100 company. She has been with Humana for 15 years and previously served as VP of Marketing at Aon Risk Services and in Underwriting and Marketing management positions with Fireman’s Fund and Cigna P&C. As director of operational and clinical risks, Ms. Snow manages the corporate insurance program, including Humana’s captive and RMIS system. She is a member of the corporate acquisition team, serves on the legal entity committee and a member of the core advisory group for enterprise risk management. 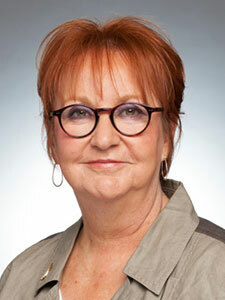 She is a member of Humana’s Women in Leadership Program. Ms. Snow is the immediate Past President of RIMS and also served as Secretary and Treasurer and as liaison to several board committees. She testified before the Senate Committee on Banking on behalf of the renewal of TRIA and has spoken at risk management conferences in Japan, Brazil, Australia, Bermuda and Singapore. She was Risk Manager in Residence at Ball State University, Temple University, University of Central Arkansas and Appalachian State University. Ms. Snow is a member of the Advisory Board for Business Insurance Risk Management Summit and was named to BI’s Women to Watch list in 2009. She is a member of Eastern Kentucky University Risk and Insurance Advisory Council she serves as moderator for a series of D&O articles for Financier Worldwide Magazine and as a risk insider for Risk & Insurance Magazine. Chief Risk Officer at Tri–Marine International Inc.
Tri-Marine International, Inc. is a global tuna marketing, canning and sales organization with facilities in Asia, Africa, Europe and the US. Gordon is responsible for all aspects of Risk Management for Tri-Marine, including insurance, risk mitigation, safety and legal compliance programs. Gordon has over 40 years of experience in the insurance industry, and he specializes in homebuilding, residential land development, energy and marine insurance programs. He has also held senior risk management positions with Occidental Petroleum, Pacific Enterprises, MBK Real Estate and Global Marine. Gordon has a Bachelor of Science degree from US Merchant Marine Academy and an MBA from Pepperdine University, and he has taught insurance classes at The College of Insurance and been a guest lecturer at the Center for Insurance Studies at Cal-State Fullerton University. Richard Roberts came to the ISU campus Feb. 9, 10 and 11 as part of the Spencer Educational Foundation's Risk Manager in Residence program. Roberts is based in West Hartford, Conn., has worked in the risk management field for more than 20 years and is a consultant and educator. He designs, develops, and manages risk management programs for aircraft manufacturers, explosive assemblies and pet food products. He also has developed programs for real estate management and real estate development projects. The Spencer Educational Foundation awards grants to colleges and universities to cover transportation, housing and incidental costs for a lecturing risk manager. This is the eighth year that ISU has been awarded the grant. 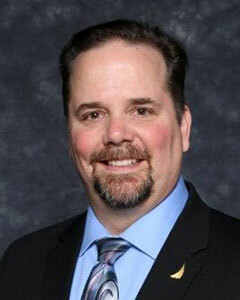 Dan Kugler is responsible for directing risk management activities worldwide atSnap-on Incorporated, a leading global developer, manufacturer and distributor of professional hand and power tools, diagnostic and shop equipment, and tool storage products with annual sales of more than $2.5 billion. He is also responsible for security and loss prevention programs for the parent and all subsidiary companies. Mr. Kugler is President of Snap-on SecureCorp, Inc., the internal insurance agency of Snap-On Incorporated, and two captive companies—Bermuda-based SecureCorp Insurance Company, Ltd. and Dublin-based SN SecureCorp Dublin Ltd.
Mr. Kugler earned a bachelor’s degree in business administration at the University of Wisconsin-Oshkosh, MBA at Loyola University Chicago and Advanced Management Certificate in Enterprise Risk Management at Georgia State University. He holds several insurance certifications, which include ARM, Associate in Captive Insurance (ACI), Associate in Claims (AIC), CEBS, CPCU as well as a licensed insurance broker and adjuster. Mr. Kugler serves on the Board of Directors for the Risk and Insurance Management Society (RIMS) and Spencer Educational Foundation. He is an active participant in RIMS ERM Development Committee, Risk Management magazine Editorial Advisory Council, Spencer Educational Foundation Risk Management in Residence Program and Indiana State University Insurance Advisory Council. 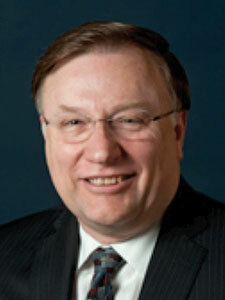 He is a past member of the CPCU Society Board of Governors. He received recognition from Business Insurance magazine as the 2002 Risk Manager of Year. Mr. Kugler is a featured columnist in Captive Review magazine. Raymond Sibley began his risk management career with Merced County, Calif. in 1977. He became the first risk manager for Washoe County, Nev. in 1985 and was hired by the city and county of Denver in 2001 to coordinate a new risk management office within the city's finance department. He was the Public Sector Risk Management Association's Public Risk Manager of the Year in 1996. The University of North Carolina identified Sibley in 1999 as one of the top five risk managers in the country. 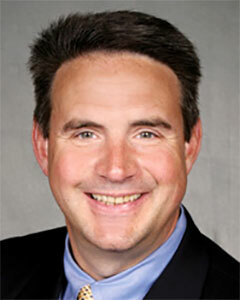 He holds a graduate degree in public administration from California State University - Stanislaus. Indiana State University's Insurance and Risk Management Program hosted Caroline Cogtella, ARM as Risk Manager in Residence March 27-29, 2007. Cogtella is Risk Manager of the Public Building Commission of Chicago. Her visit to ISU was sponsored by the Spencer Educational Foundation. 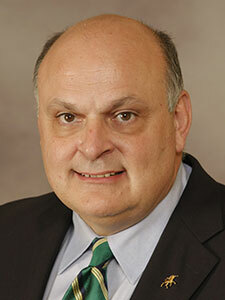 With more than 30 years experience in Risk Management and Insurance, Cogtella has served in positions as risk manager of the City of Chicago, City of New York, New York City Transit Authority, Northeastern Illinois Regional Commuter Railroad (METRA) and the Regional Transportation Authority (RTA). She has an Associate in Risk Management (ARM) and Construction Risk and Insurance Specialist (CRIS) designation and is licensed in Illinois to broker casualty, property, life, and health insurance and is a member of Risk Insurance Management Society (RIMS) and Public Risk Management Association (PRIMA). Susan Meltzer, assistant vice president of risk management for Sun Life Financial in Toronto, Meltzer began her career in risk management in 1983 with the Canada Development Corp. as coordinator of risk and insurance. She became Sun Life Financial's first risk manager in 1996 and has built a risk management program from the ground up, including adoption of an enterprise risk management approach.